Is It Worth Installing a Water Softener? Know More About Your Water Systems! A water softener is often mistaken as a water purifier for most people. However, it is not. A water softener installation may not be the right choice for you depending on several factors. It’s important to know what type of water is being distributed in your municipality and what health risks are being imposed to you before making the best decision. Ultimately, anything is better than hard water. In fact, hard water can stain your tubs, cause your skin to be dry and hair to be brittle. The high mineral content in it is actually more readily absorbed through your skin in the shower than by drinking it. That’s why when you are considering a water softener installation consider other places of installation besides your faucets. 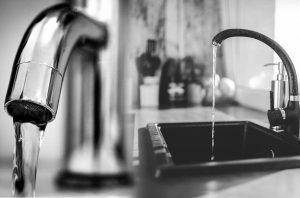 For other areas in your home, it may even be better to consider Water filtration as an alternate route of water purification. Although water softeners are a viable option, oftentimes they can be specific to only certain types of contaminants or minerals. However, if you have hard water in your water systems, a water softener is still a viable option as it will protect the occupants from your home from long term exposure to more dangerous minerals. Ultimately, it’s up to you to see what is lurking through your water supply in order to make the right chose on water purification. Water softeners can get rid of minerals such as Calcium Carbonate, Magnesium, and Limescale and prevent scale build up. However, essentially these minerals are just exchanged for sodium or salt and other impurities are not blocked as is seen in the case of filters. However, a water filter can get rid of those impurities as well as others and ultimately cost about the same price. Through the processes of ion-exchange, micron-filtration, catalytic conversion, reverse osmosis, absorption and oxidation your water can be purified from the smallest particles to the biggest. Filters are the more versatile option that can get rid of both natural to man-made heavy metals or chemicals. Depending on your home, consider your options before making an informed decision. 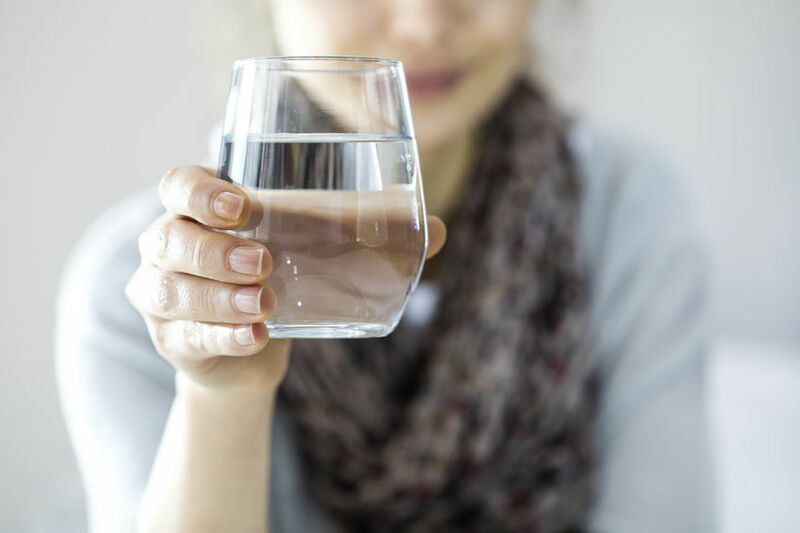 Water from a water softener is fine to drink over hard water but if you’re someone who is supposed to be on a low sodium diet than it may not be right for you. It may be best to install a filter if ultimately you prefer other contaminants to be removed from your systems. Most water softeners can be placed as an attachment to the mouth of your faucet and don’t require too many tools in setting them up. After connecting certain parts most instructions tell you to make sure your water faucet if turned off and to hook up the device to the mouth. Afterward, you simply turn or hit a few controls to activate the mechanism. Does a Water Softener Ruin a Water Heater? 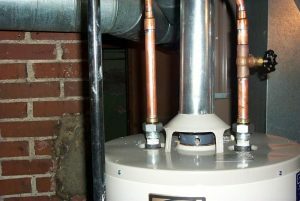 Water heaters are built to be very long lasting and normally last for about 10 years. However, as most are made of metal and heat water on a regular basis they will naturally corrode over time. The solution made to remedy this has been to place anodes inside the heater and these need to be replaced every 6 years. With softened water, you can expect the corrosion to go much more quickly due to the sodium that replaces the minerals in the water. It’s important to check on your water heater regularly as corrosion can cause leaks, rusting and buildup to occur on your unit. How Much Does it Cost to Have a Water Softener Installed? Water softener installation costs are dependent on the kit that was chosen as well as the materials that will be required upon installation such as a flux, solders, and brushes. A DIY cost can be about $500 or more and professional water softener installation prices can cost from $800-$3000 depending on how many places you will install the unit, upgraded control options and the size of your home. Installations can cost a fraction of High Point, NC roof installation if you choose cost-effective options. Which Water Softener is the Best? Is Getting a Water Softener Worth it? If it’s about the same price as a filter it may be better to get Water filtration in order to increase health benefits. Is a Water Softener Really Necessary? 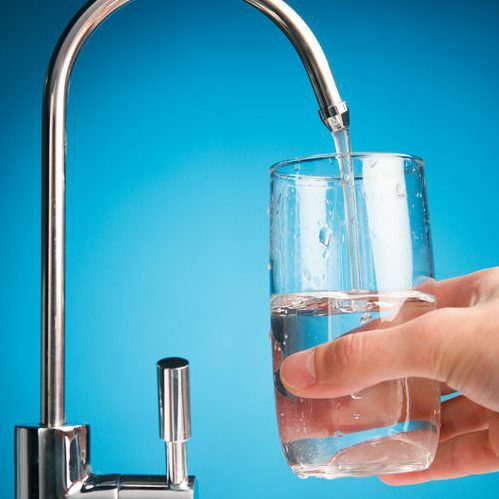 If you have hard water it’s necessary to at least get a water softener if not anything else in order to protect you from health risks due to exposure and regular intake of contaminated water. If you’d like water softener installation in Mills River, Hendersonville, and Asheville, NC call 828-778-2425 with All About Plumbing & Septic! Posted in Uncategorized on March 6, 2019 at 5:28 pm by All About Plumbing. If You Have Questions About The Pros And Cons, Give Us a Call. Do you need a hot water heater? Chances are, traditional hot water heaters with standard plumbing is right for you. Here are some tips to help you decide, as well as what to look for in plumbing services. (Tankless water heaters will be covered in another article.) Once you have decided if traditional heaters are for you, then you’ll need to enlist the aid of an affordable plumbing service, because installing water heaters is not usually something you would want to do yourself. Convenience – Traditional water heaters preheat and store the hot water, which is available any time someone showers or washes dishes or laundry. They automatically refill and reheat water. Simplicity – They have a much lower installation cost than tankless heaters, and because installation is easy (therefore easy to replace), there’s not much can go wrong if you are a DIY fan. Limited hot water – Traditional tanks usually hold 30-50 gallons of water, which might not be enough for your needs any particular day. If you’ve ever jumped in the shower after a teenage daughter, only to discover she used all the hot water, you know what we mean. 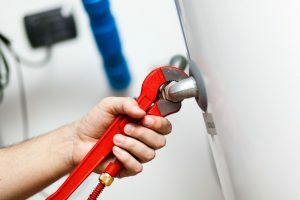 Higher utility expense – Despite cheaper installation cost, traditional water heaters have a higher utility cost over the lifetime of the tank because it heats and maintains that temperature (reheats the water as needed) whether or not you use the water. It eventually adds up. Shorter lifespan – Most of these tanks last maybe 15 years. That’s about half as long as tankless heaters. If a traditional water heater seems right for you and your family, the next step is to find an affordable plumbing service. Any plumber can handle standard plumbing issues like this, and should obviously be licensed, so consider amenities like same day service and emergency service. All About Plumbing & Septic of Mills River, Hendersonville, and Asheville, NC is such a company. We offer $50 coupons on our website for hot water services and carry all types of traditional, gas, electric, oil and tankless heaters in stock. We believe in going the extra mile for our customers, which is why there is a technician on call 24/7. Check out our website for more information or call us at 828-778-2425. Posted in Uncategorized on December 31, 2018 at 9:36 am by All About Plumbing. 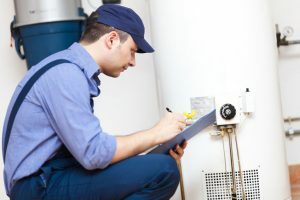 Water Heaters Need To Be Maintained Regularly To Continue Working Correctly. When it is time to replace your water heater, tankless water heaters are an upgrade worth giving serious consideration. They have great benefits and are a fast-growing favorite these days. We’ve included some pros and cons to help you make this decision, as well as tidbits about picking the right plumber. Unlimited hot water – Running out of hot water is a nuisance. Unlike traditional water heaters, tankless units don’t store a limited amount of hot water. Instead, they heat the water as you use it. They typically heat two or three gallons of water per minute, and on demand. If you often run out of hot water with a traditional water heater, this is a better solution. Save money – If you typically use less than 41 gallons of hot water daily, tankless heaters can save you as much as 34% in energy bills, or about $100/yr. Tankless units don’t use as much energy because they don’t have to maintain water temperatures even if you aren’t using hot water, a definite advantage over traditional ones. Tankless water heaters also have a much longer lifespan over traditional water heaters, about twice as long. This saves you money in the long run. Save space – Tankless water heaters are small and take up mere inches on a wall instead of an entire closet. Is Your Water Heater Working Properly? Give Us a Call! Initially, more expensive – Tankless units are a more expensive to install, so if you are living on a tight budget, this could be an issue. It depends on the model, of course. If you are replacing a traditional water heater with a tankless one, there will be additional retrofitting expenses because the tankless system is more complicated. If you frequently run out of hot water, a tankless water heating system is probably your best bet. 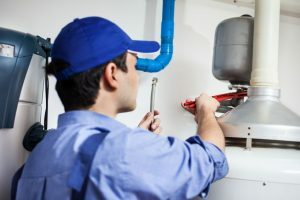 Any reputable (and licensed) plumbing service can handle that, but don’t overlook the extras that say the company will go the extra mile for you, such as being able to talk to a real person instead of a machine or answering service when you call. All About Plumbing and Septic, of Asheville, NC, cares about you, which is why we offer same day and emergency service and want to help you save money with a $25 coupon on our website for first-time clients. Give us a call today for more information. Chances are, if you call during the day, you’ll almost always get an owner! Here’s our number, 828-778-2425, give us a ring, today! Posted in Uncategorized on December 31, 2018 at 9:21 am by All About Plumbing. Learn The Tricks To Avoid Any Major Problems With Your Plumbing. Plumbing has been with us since way back in the Roman times, but much has changed between then and now. Today’s modern homes come equipped with luxurious hot and cold water throughout. Plumbing is great when it works, but when it fails, the house can turn into a horrible, soggy mess. The best thing to do is to be on the lookout for plumbing issues ahead of time so that you don’t have a bad situation on your hands. Watch out for trouble. With plumbing, always remember that little leakages can quickly become big plumbing problems. Look out for any sign of an impending plumbing failure: damp cabinets, rocking toilets, leaking faucets, or leaking fridges all are serious issues that need to be quickly addressed. Quickly repair problems. You don’t want ignore a dripping faucet. Why? Because a dripping faucet is extra moisture that puts wear on sink components. This extra moisture can quickly cause the growth of mold and mildew. Watch out for these types of issues to keep the home dry. Find your home’s primary shut-off valve. Imagine a worst-case scenario where you’ve got water pouring down your stairs in the basement from a damaged pipeline…and you don’t know where your water shut-off valve is. This is why you should find your shut-off valve before you have an emergency. Know your appliances. Make sure you know how to turn off water going to sinks, toilets, washing machines, and the fridge’s ice maker. Knowing this is crucial for addressing leaks and other situations that could suddenly arise. Find your drain valve. Search for your home’s primary sewer valve. This is a valve that gives access to a clogged sewer line. Knowing the valve’s location is helpful when toilets are overflowing. 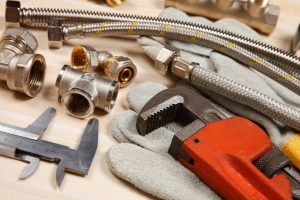 Use your tools: With just a few tools and a little knowledge, most of us can learn how to handle small plumbing problems. You just need to add a pipeline wrench, a plunger, and a sewage system snake to your tool kit. These tools will allow you to take care of small problems like blocked drain pipes, blocked toilets, stuck valves, and dripping faucets. Use insulation to prevent frozen pipes. What you can do is insulate exposed pipes in a crawl space or basement with specialized, easy-to-install plastic insulation. This special insulation is a peel-and-stick solution that can be purchased at your local Lowe’s or Home Depot, peeled off, and stuck right on the pipes. Winterize your house. Before the onset of winter, disconnect your outside houses and apply insulating caps to outdoor fixtures. A frozen exterior spigot can damage interior pipes. Snap into action during a cold snap. As soon as the cold front moves in, snap into action and open cabinets beneath sinks and bathroom fixtures, set up radiator heaters in your garage, and open up taps to a bare trickle (keeps water flowing and prevents a frozen blockage). Warmer household air will help prevent the pipes inside from freezing. Don’t panic if pipes freeze. The first thing you need to do is shut off your water supply to your house (using your water shut-off valve). Then, open a faucet near the blocked area to vent vapors from the frozen water. If you think your hot water pipes are frozen, go ahead and turn off the hot water heater. Use a hair dryer to warm the frozen pipe, starting at the end of the pipe nearest to the tap. You’ll know the pipe has begun to thaw when water begins to trickle from the open faucet. When the flow is restored, check the plumbing carefully for cracks or leaks. In areas that have hard-water areas, water softeners are great because they condition water to remove unwanted minerals. The thing about softened water is that it extends the life of appliances, uses less soap, and prevents mineral buildup in pipes. Keep your water conditioning system running with good maintenance. Many models have a salt-exchange method that requires a steady supply of salt nuggets. Check the manufacturer’s requirement and use the salt recommended by them. Keep an eye on the brine tank to make sure that the salt levels are high enough over the water line. If you see a crust of salt that forms over the top of the brine tank, break it up by poking the crust with a broomstick or adding hot water to the tank. After being used for a while, water softeners will need to recharge: The unit will flush collection areas of accumulated mineral particles pulled from hard water. If your unit requires manual recharging, stick carefully to the manufacturer’s recommended time intervals. If your unit offers an automatic regeneration scheduling, use it — you’ll have soft water automatically. Use the dishwasher. Hand-washing dishes actually wastes a lot of water. Automatic dishwashers use less hot water and energy than washing by hand. Also, most modern dishwashers are designed to remove food and grease without you having to pre-wash or pre-rinse the dishes. Use low-flow toilets. Replace older toilets with newer low-flow toilets, which use less water. Take short showers. Keep your showers short to save water and money. Also, you can install a low-flow showerhead. These shower heads use about 50 percent less water than older models. Posted in Uncategorized on December 28, 2018 at 5:41 pm by All About Plumbing. We Are Here To Help With All Your Plumbing Needs. Have you ever been in your bathroom and seen air bubbles rising through your toilet bowl? Have you noticed the water rising and falling randomly? If these things are occurring when you aren’t flushing the toilet, you likely have a clogged toilet. Also called an “improperly vented toilet,” this type of thing occurs when you’ve got an appliance like a washing machine nearby and your toilet isn’t getting enough air. 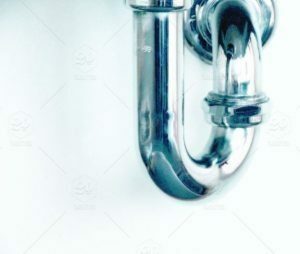 Pay Attention to the Signs of Poorly Vented Plumbing Drain Lines All pipes need to “breathe.” Most drain pipes use the principal of gravity to send water down drain lines. As wastewater moves through your pipes, the pipe’s air pressure fluctuates. For this reason, most pipes have vertical vents that let air into the pipe that they can “breathe.” When pipes breathe, they let air in so it can water and flow and work property. If this sounds a bit confusing, think for a moment about pouring water from a can with only one opening. Whenever you pour liquid this can, you’ll notice that the water doesn’t flow evenly. However, if you add a second opening to this can, water will more easily flow out of the can when you pour it out. The principle same is true when we talk about plumbing. As water goes down a drain, air is needed to equalize the pressure in the drain line. Methane Odor – If you smell a strong methane odor coming from your drain or toilet, this usually means that you’ve got poorly vented drain lines. In a normal properly functioning plumbing system, a seal prevents outside harmful gases from entering your house. When you’ve got poorly vented drain lines, your pipes become empty and start drying out. This allows the seal to be broken and harmful gases to start to enter your home. Always call a plumber if you smell a harmful odor like Methane near your toilets. Bubbling Toilet – If you see bubbles in your toilet happening at any other time then when you’re flushing, you’ve likely got a situation where a blocked vent is creating pressure in your pipes and forcing air up the pipes into your toilet bowl. An Empty Toilet – If your toilet bowl doesn’t automatically refill with clean water when you flush it, this means that there isn’t any water in the pipes or the reserve behind your toilet. Pipes require air pressure to keep water in this reserve. A poorly vented drain line doesn’t have air pressure, so water flows down the pipes away from your toilet. Gurgling Toilet – If you hear noise coming from your pipes after you flush, you’ve probably got poorly ventured drain lines. In this case, the gurgling sound happens when water can’t go down the pipe easily because of less air in the pipes. Slow Drains – A slow drain either happens from a clog or a plugged vent. If your pipes don’t have the right ventilation to push water down the pipes, it will drain slowly or not drain at all. Keep Your Pipes Clear With Help From Our Professionals. Since pipes need to breathe, any type of drain line that is poorly vented can be a serious problem and affect your plumbing. This type of situation isn’t any easy “DIY” fix because the solution means removing walls to examine your drain system. Regardless of the cause, a poorly vented drain line can cause a multitude of problems. Unless you know what you’re doing, it’s much better to call a professional plumber to fix the job at 828-778-2425. Posted in Uncategorized on January 21, 2019 at 2:59 pm by All About Plumbing. When Should I Pump My Septic Tank? How often should you pump your septic tank? Should you pump your tank at all? If you ask around, you’re bound to get some bad advice. The fact is, knowing when to pump your septic tank is one of the most confusing parts of owning a septic system. In today’s video, we’re going to learn how to use a special tool that’s going to show us when it’s time to pump your tank. Not only will this allow you to take proper care of your system, but it’s going to save you money over time. All that today on Stuart On Septics. Before we learn how to use a core sampler, let’s first lean how a septic tank works. Okay, let me give you some background as I draw a cross sectional view of the septic tank. Since we all prepare different foods, take various medications, and use a variety of cleaners, each septic tank is basically its own chemistry project. The amount of waste water we generate, our personal habits, and products we use, all affect the workings of our septic tank and how often we need to have that tank pumped out. Remember, the longevity of your septic system is directly linked to proper maintenance and the amount and strength of waste water you put into your system. Tanks are usually made out of concrete and are about eight feet long by four feet wide, and three to five feet deep. On this drawing, the inlet is on the left and the outlet is on the right. The inlet flow is baffled by a plastic tee. The outlet is usually a few inches lower than the inlet. This means that the tank’s normal level is even with that outlet pipe. The job of the septic tank is to separate the waste water into three separate layers, trapping the solids and greases inside the tank, and only allowing the liquid effluent to leave the tank. This settling is down both through biological activities and retention. If your tank doesn’t settle out into these three layers, there’s something not right and your tank is not working as it should. Let’s look at the layers. The scum layer is the top layer, shown here in brown, and is made up of fats, oils, and greases. The yellow middle section is the liquid effluent. The tank’s outlet tee is designed to allow this water, and this water only, to exit the tank and move onto the absorption field. The sludge layer accumulates on the bottom of the tank and is shown here in blank. The tank should be pumped when the sludge plus the scum layer equal 25 to 33% of the liquid depth of the tank. Never pumping your tank, allows the sludge and the scum to build up to unhealthy levels. Excessive sludge buildup will render the septic tank useless and allow all waste water to bypass the tank, going out into your field system and wreaking havoc. Have all your sludge and scum removed when it’s time. In fact, be sure to verify that your pumper has done a thorough job when they pump your tank. Don’t allow them to leave six inches of sludge in the bottom. A good pumper will back flush into the tank to help put the sludge into suspension so they can effectively pump it out. This is the core sampler. As you see, it comes in this fancy PVC case that looks like a giant ear cleaner. So this is the core sampler. It’s eight feet tall. At one end you have this cute little ball here. You’ve got the tube is clear, and then at the bottom you’ve got a little stopper. What that stopper does, what you do is you, we’re going to put this down into the bottom of your tank. When it hits the bottom, we’re going to pull this shut, so it does that. It makes that exact sound. It makes a bop sound. It closes the end of this. When it does that, what we’re going to do is we will wrap it around this boat looking thing. What would you call that? I think it’s something they use on a boat, so I’ll call it a boat thing. Then, we can look at the contents of the tank. Let’s do that. I’m going to pull this lid off. Pull out the internal lid. I have to make grunting sounds when I do that because it’s such hard work. Here’s the open end. We’re going to put it down into the tank. I’m just going to push it down in there, slowly and straight down until I get to the bottom. Oh, there’s the bottom. Then, I’m going to take this and while holding it down on the bottom gently, I’m going to pull on the rope, and it made a thud sound, which means that the end of the tube was engaged. I’m going to wrap it around the boat thing, right here. Then, as I pull it out, look what we have. We have a cross-sectional view of the contents of the septic tank. The first thing that you notice is that our water level is here, so this is the water depth of the tank. This is how deep the tank is. We’ve got one, two, three, almost three and half feet of water depth. Now, down here we’ve got the sludge. You see the sludge goes to almost two feet. The rule of thumb with sludge is, you want to pump your septic tank when your sludge layer is 25 to 33% of the depth of your tank. So this tank, has almost two-thirds sludge, so it needs to be pumped quite badly. Another scenario would be, say if you had four feet of water and the sludge was at a foot, you’d be right at the edge of needing to have that tank pumped. Maybe you could wait a little while longer till it was about a third or you could go ahead and have it pumped. But if you have four feet of water and you only have six inches of sludge, then you don’t need to have it pumped. Even if it’s been five, six, seven years, you don’t need to have that tank pumped. That’s where you’re going to save money because the core sampler tells you exactly when you need to have the tank pumped. This tank needs to be pumped. Then, we loosen the end here, we’re on the boat thingy, and the contents fall right back into the tank. That’s how the core sampler works. If you’d like to purchase one, feel free to give me a call or send me an email. Hi, I wanted to mention a few things before we go. One, make sure that you wear rubber gloves. If you’re getting into your septic tank or if you’re doing core sampling, septic water, as you have probably guessed, is kind of nasty. It’s not something you want to get on your hands. You also might want to have some alcohol-based hand sanitizer on hand, just in case. You know, the fact is, pumping your septic tank is expensive, but it’s also a necessity. Having your local septic pumper on a regular schedule and have them come out and pump your tank every year or two, might be convenient for them and it might be profitable for them, but it might not be necessary. Using a core sampler forgoes the guesswork and lets you know exactly when it’s time to pump your tank. You can purchase a core sampler online at septicdesign.com, or by contacting me directly at the number below. Thanks again for watching. We’ll see you the next video. Posted in Uncategorized on December 28, 2018 at 5:04 pm by All About Plumbing. Keep Your Toilet Free From Clogs! You flush your toilet, and the water rises. You try again, and it goes even harder. You know better than to try a third time and risk overflowing the toilet. A clogged toilet is a pain, but it’s certainly easy to remedy. Here’s how to fix a clogged toilet. Toilets don’t unclog by repeated flushing. Doing so will just make things worse. Until you actually are making demonstrable progress with your unclogging efforts, you should not touch the flusher. You don’t properly appreciate a toilet until it stops working. A clog doesn’t happen for no reason. They happen when a toilet is forced to take in more than it can handle or items that were never meant to be flushed. You obviously shouldn’t flush a pen or a toy down the toilet. But you also shouldn’t flush things like paper towels or diapers. Additionally, using too much toilet paper can clog your toilet fast. It’s not too difficult to fix, but it’s much easier to avoid a clog in the first place by flushing with more discretion. If you don’t have a plunger, go get one right now. It doesn’t matter whether or not your toilet is clogged. You need to have to have a plunger (or failing that, a toilet snake) to get rid of clogs as quickly as possible. When you retrieve your plunger, get it loose with some high-temperature water. Get it deep into your toilet and plunge with purpose. Use a consistent rhythm that’s strong but also loose enough to make sure that your plunger is able to move. As you continue, you should see and hear your toilet cooperating. The water should start to recede. When you feel ready, you can flush. If it flushes smoothly, you’re good to go. Should the water rise or not do anything, you might need to plunge more. It’s not difficult to not clog a toilet. Just make sure you don’t flush anything that doesn’t belong. You can easily find a list of things that shouldn’t be flushed. Print it out and put it up to inform your family and guests. If your toilet won’t unclog after repeated effort, it’s time to find professional help. The team at All About Plumbing & Septic will be more than happy to help you with unclogging your toilet and any other plumbing problems you might be having with your pipes and drains. Please give us a call today at 828-778-2425 so we can schedule a visit. Posted in Uncategorized on December 28, 2018 at 4:54 pm by All About Plumbing. Jeremy: Hey guys, I’m Jeremy Ashburn. I’ve got to Alex Wilson with me with All About Plumbing & Septic. You guys are a local septic and plumbing company. Let’s talk about your background because, quite often, when people call a plumbing company, they’re wondering what kind of company they’re calling. Alex: Okay. Sure. We started about eight years ago as a family business. I own the business with three of my sons. Actually, one of my son’s is a plumber and I have a business background and been in business all my life. And two of my other sons had business backgrounds. Basically, there’s a lot of plumbers out there who are good plumbers, but not good businessmen. That’s the difference between All about Plumbing and other companies. Myself and two of my sons run the business and my other son he takes care of running the plumbing division and keeping up with our plumbers. So, not only we do we have the business side, but we also have the plumbing experience. And it works out really well because a lack of experience is one of the biggest problems with the service industry. You might be good at what you do. You might be a great plumber, but they’re not good businessmen. Quite often, other plumbing companies run into problems when they try to grow. Taking care of customers is the key as you grow. You get more requests and have to take care of more and more of your customers. So, you have to grow your business and give same say service to your customers like they deserve and service your newest customers as well. Jeremy: Well, thanks a lot for explaining your background. If anyone has any questions, you can call All About Plumbing and Septic at 828-778-2425 or go to AllAboutPlumbingNC.com to learn more. Posted in Uncategorized on December 28, 2018 at 5:10 pm by All About Plumbing. Water Heater’s Need To Be Serviced Regularly. When your water heater stops working or start leaking, you’ve got an emergency on your hands. This is the type of emergency that can’t wait. Call All About Plumbing & Septic for same day, fast, and professional water heater service. We service all water heater brands, including AO Smith, Rheem, State, and Bradford White. We appreciate your feedback! Here are a few most recent testimonials from water heater jobs. What a breath of fresh air! My hot water heater is acting up and Evan came out to inspect. He is the water heater whisperer!! He assured me that it is a contained unit and that if it throws codes he will diagnose and even call the manufacturer to check all component parts. He also said that parts can be replaced before the entire unit has to be replaced. I so appreciate the honesty because he could have easily told me that it needed replacement and I would not have known the difference. And I was not charged for the call! These guys are the best! Came at agreed time, very professional, replacement was at agreed on price. Water heater replacement. Tony did an excellent job replacing my hot water heater. Fantastic! All About Plumbing was incredibly professional and knowledgeable! They did exceptional work! Brandon Cheney just finished installing my new water heater and he was fantastic! He was knowledgeable in his profession, extremely courteous and solicitous. He is a great asset to your team and I am happy to recommend to my family and friend! Descale tankless water heater. Install whole house filter. Install shut off valve. Install sediment filter. Arrived early, brought all parts. Started with shut off valve. Installed whole home filter, sediment filter. Excellent job. Very knowledgeable. Friendly good personally. Very patient with me. Daniel and Brandon were able to access and correct the problem with a leaking water heater in less than an hour. Courteous and professional -just all around good people who are great at their job. Thanks guys. Posted in Uncategorized on December 28, 2018 at 4:29 pm by All About Plumbing. Call Us About Our Professional Plumbing Services. 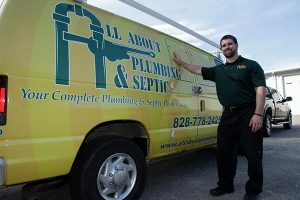 All About Plumbing & Septic is a local, family owned and operated company. Our phones are always answered, and we offer 24-hour service with no overtime charges. Contact us today at 828-778-2425 for a free estimate and deal with a plumber you can trust. Our skilled technicians really are “All About Plumbing & Septic,” with no job too big or too small for our staff. Whether your home is flooding or you’re looking for plumbing service for your commercial redesign projects, your property will be in working order in no time. At All About Plumbing & Septic, we offer comprehensive septic services including cleaning and maintenance, control panel and sewage alarm installation, lift station pump service, and more. Whether you need a new septic system or just a routine septic tank cleaning, the professionals at All About Plumbing & Septic can do that! Be sure to check out the septic coupons on our website! Call us today or book an appointment online! All About Plumbing & Septic and Septic has 24-hour plumbers available for water plumbing emergencies. That’s 24/7/365 service with no extra charge! Contact us for a fast response and professional fix for your plumbing problems. You’ll always reach a live person, not an answering machine. Toilet clogged? All About Plumbing & Septic will be happy to come out and fix your toilet and any other drain and pipe issues you may be experiencing, so you can get back to business! 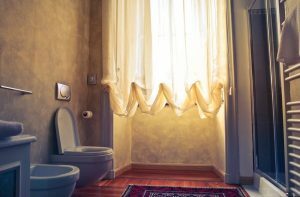 If your toilet is still clogged after following these steps, it’s time to call All About Plumbing & Septic! Posted in Uncategorized on December 28, 2018 at 4:10 pm by All About Plumbing.